The MHUB™ is the smallest and slimmest Macally hub up to date! It only measures 83 x 38 x 9 mm while still having 4 USB 2.0 ports. 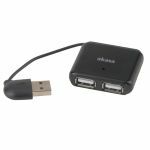 The MHUB™ is both USB 1.1 and USB 2.0 compatible and thanks to its small and slim size ideal for notebook users. 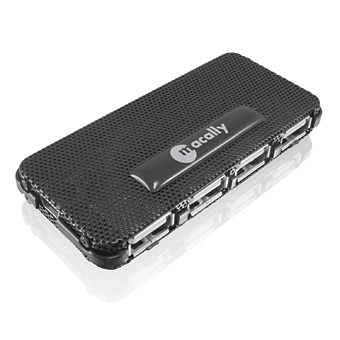 - Ultra slim, ideal for notebook users • 4 USB 2.0 ports. 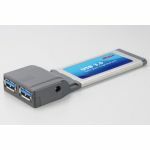 - USB 1.1 (12Mbps) and USB 2.0 (480 Mbps) compatible. - DC jack for AC adapter (optional). - Dimensions: 83 x 38 x 9 mm. 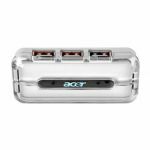 - Includes hub, USB cable and user guide.